Very nicesubmitted by RaVuan Q.  - Feb 18, 2019 |Recommended: YesThe alden is a great place to live with the exception of hearing every footstep, conversation, banging, noise, tv, radio, toilet flush, kids, ect., from whoever is living above you. The Alden is habitable for the most part.submitted by Latasha D. - Feb 02, 2019 |Recommended: NoMy main concern is the roach infestation and at one point mice infestation. It’s also disturbing that the children have limited grass area to play in because of the dog waste that is not being picked up by their owners. Great staff of maintenance and cleaning crew. But the worst thing is the parking problem..submitted by Margaret B. - Jan 27, 2019 |Recommended: YesIt is very easy to reach different areas of Pittsburgh. You have a great maintenance department.. The group of men you have are polite, hard working and do a fantastic job. They come fast to fix what ever problem is occurring. The people who come in to clean from the service you have are fantastic.. You should build a parking garage on Youngridge. If you come home from work after 9 , you have to walk far in the dark to get to your apartment. If you had a dog run it would help with dog waste being isolated to one area. easier to maintain. You need someone to follow up on the work your outside company perform at the Alden. Im sure you pay a lot of money but sometimes the work is done bad. For example the parking lot on Youngridge to for ever to fix and it floods A plumbing crew ruined the ground area behind my building. they left ruts in the ground. You can't walk back there now. No business should leave a place in this condition. You should have someone who checks on these outside jobs. I don't mean maintenance, Because maintenance should continue to concentrate on individual residences. And they do a great job with that responsibility. This should be a separate .position, like in your office. You should hold the people from the outside, that you bring in ,responsible for how they leave things. Slowly Getting Bettersubmitted by Christina T. - Jan 10, 2019 |Recommended: YesManagement is getting better but don't get used to it, it may change by the next time you sign your lease again. Keep everyone on their toes about issues and concerns. Will recommend to others but with a disclaimer. Nice for decent pricesubmitted by Betsy R. - Jan 02, 2019 |Recommended: YesI would recommend here if they were looking for a decent place for kinda cheap. EXCELLENTsubmitted by Bhadra D. - Jan 02, 2019 |Recommended: YesIT'S COOL TO LIVE HERE. IT IS PEACEFUL AND EASY ACCESS TO ALL FACILITIES INCLUDING PUBLIC TRANSPORTATION. A lot better than average.submitted by Hima B. - Dec 12, 2018 |Recommended: YesThe Alden has enough facilities to be comfortable and nothing more than that. Just enough to be a little comfortable. My apartment has the smallest kitchen I have ever had and for the rent I pay, I expect a little bigger kitchen. The heater situation in the apartment is equally weird. To begin with, there's no thermostat in the apartment so the heat is controlled by the community so, it's usually pretty cold for me in the nights, unless I decide to get a space heater for the bedroom. All in all, it is almost comfortable but it misses all the little touches in details to make it an ideal home. I like the propertysubmitted by Joyce S. - Oct 04, 2018 |Recommended: YesIt's ok...just wish they would do something better about the trash. The property is kept clean, and the grass is kept cut neatsubmitted by David L. - Sep 18, 2018 |Recommended: YesI like the location very close to shops, near bus stops, helpful staff, and informative, apartment at the time I moved in was clean, the unit I live in is quiet, and the rent is affordable. It's okay it could be alot better.submitted by Stormy L. - Aug 25, 2018 |Recommended: NoThe physical appearance of the property isn't too bad, but once you get settled in to your new home, you will see that internally you'll have a couple of concerns. like the constant banging, dogs barking and trash in the hall ways. and the fact that the buildings are INFESTED with bugs and roaches. I maintain a tight upkeep on my home as far a maintenance and cleanliness, but i still have bugs in my home. i would not recommend the Alden.